The What & The Why? Energy Efficiency calculations are required for nearly all new building construction and extensions under the Building Code of Australia. 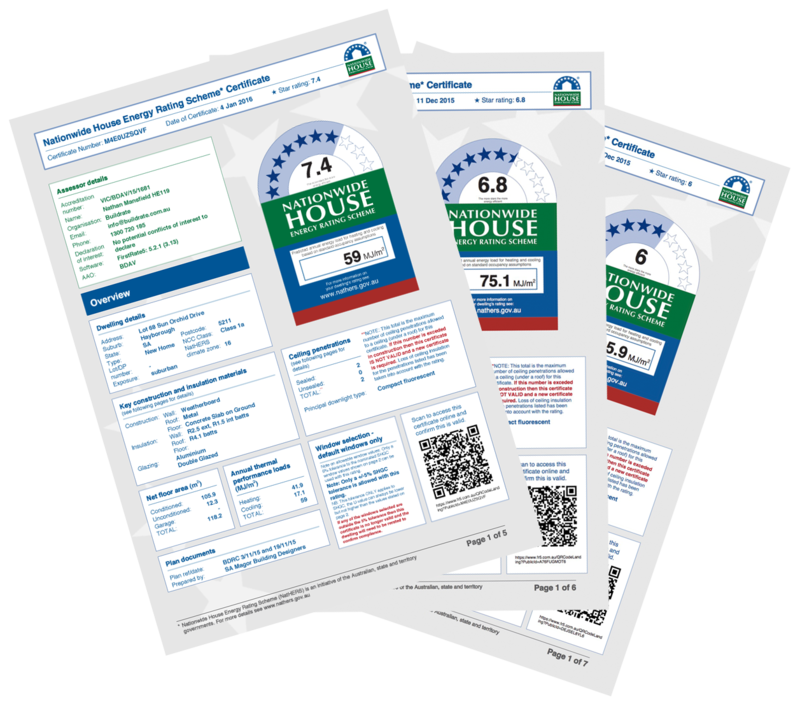 One of the most efficient ways to meet the BCA requirements is to perform an energy rating, and in most states of Australia this thermal calculation is to meet 6 stars. The star rating method can be met by using AccuRate, FirstRate 5 or BERS Pro software to perform the thermal calculations and give the energy usage of a building up to ten stars. This calculation method gives the overall thermal performance of the building, and can save in construction costs versus using the Deemed to Satisfy method for each component of energy efficiency required within the BCA. Not only can there be cost savings in construction, but also long term savings for the homeowner by minimising energy usage for heating and cooling all year round. Assessing a building’s thermal performance at design stage can identify simple, economical ways to make it more comfortable and save energy.